On a very cold day in February, we announced the inaugural DiRT Esports series and launched the first of six qualifying events, which we ran using our in-game Community Events system. Over 20,000 times were laid down throughout the course of the qualifiers, with many more runs likely rage-quit or binned off. From there, the 12 fastest competitors from each platform (the two fastest from each event) were taken forward to the quarter-finals – a live affair where our drivers took on a series of challenging rally and rallycross races to go through to the semi-finals. Commentated on by FIA World Rallycross commentator Andrew Coley and Actrollvision Community Racing’s Luke Crane, it was a closely fought contest – with things getting particularly heated in the rallycross rounds at Loheac and Hell. After two weeks of preparation the semi-finals came around, once again taking us to the Gfinity Arena to stream the action. While FA Racing G2 seemed to dominate the quarters, it was the French eSports team Oscaro who triumphed this time round – with them taking up an impressive three of six positions for the final. As one might expect with the semi-finals, times were a lot tighter and racing was a lot closer – but that’s not to say it was a stale affair! Te rallycross brought some spectacular racing to viewers, with competitors trading all sorts of paint. There were spins aplenty, some incredible Joker lap merges, and some exceptionally dominant displays of skill. With every point mattering for a place in the final, it wasn’t over until those chequered flags were waved on the day’s racing. In a month’s time, one of these names will be your champion! 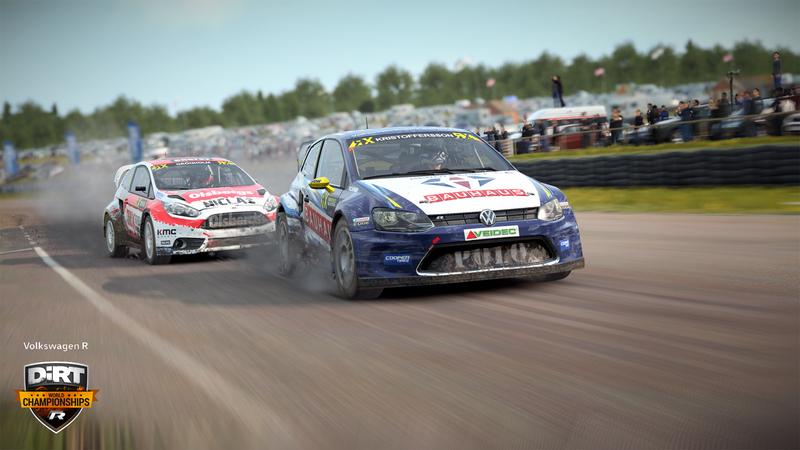 The next step is to pit them against one another at the Volkswagen R DiRT World Championships finale, taking place live on stage at motorsport festival Speedmachine. The stakes have never been higher, as throughout the course of the competition we’ve announced more prizes. 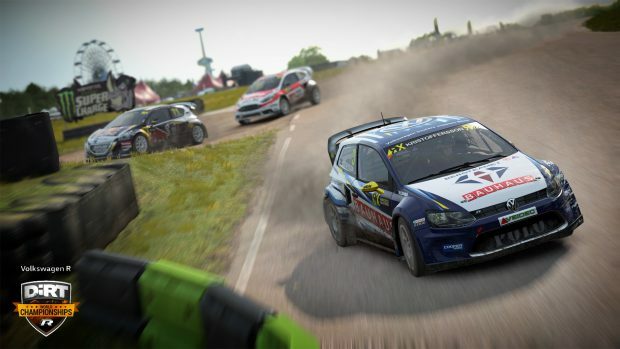 First place will take home a real life test drive in an RX2 car, a Predator Orion 9000, a DiRT Playseat and a Thrustmaster wheel, as well as the title (and trophy) of the DiRT World Championships winner! With drivers coming into this final with a fresh score sheet and the exact same equipment with which to race, the final contest will once and for all find the fast racer on DiRT. Who’s your money on? Let us know in the comments below!